Why dedicate valuable real estate on your site to 3rd party content? Why spend time discovering and curating content for your audience? These are valid questions we get a lot. Curating helpful, relevant resources demonstrates your commitment to your audience’s needs and interests. Not only does providing a consistent well of information through your unique hub position you as a trusted, go-to expert, but it also aligns your brand with other well-respected publications and influencers. Showing that you are invested in keeping up-to-date with the latest industry news and trends lets your audience know that they're at the right place to help them with their needs. Where should I put Easy Content on my site? Where exactly you put Easy Content on your site is a personal marketing and design choice that will depend on the other sections on your site and how prominent you wish to make your curated content. Common choices include towards the bottom of your home page, an addition to your original content on your "Blog" page, or on your "About Us" page as a "What We're Reading" style of suggestion. What's the difference between Card and Carousel view? 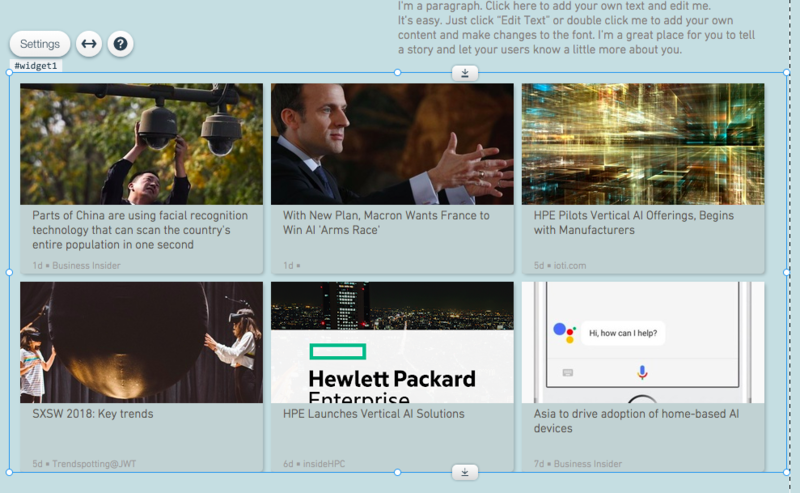 Simply put, the card view will display your content in a static, grid format. Exactly which content and how many cards depends on your settings. The carousel view will display your content on a single card, but will "rotate" different content into view, the frequency of which will depend on your settings. Which option is best for you will depend on the amount of content you're hoping to display, and how much space you have to use on your site. What's the best way to create custom categories? Searching with Easy Content is different than your typical search engine. We use "boolean searching" to isolate your results to just what you care about, making good searches is part art and part science. We have a dedicated article on how to get the most out of Easy Content searches. Why aren't I seeing any results in my custom categories? Easy Content functions a bit differently than you typical search engine in order to ensure we are bringing you the very best of what is out there. Because of this, it may take from 10 - 30 seconds for articles to appear in your custom category. If a minute goes by and you are still seeing nothing, you may wish to consult this article and tweak your category criteria.